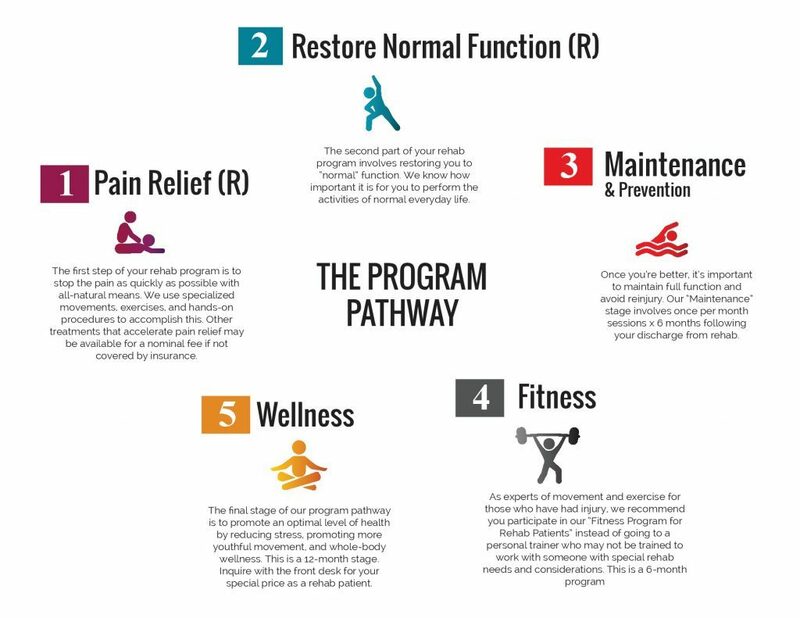 The Program Pathway is a 5-level program that will restore your function and relieve pain as shown in steps 1 & 2, but we don’t stop there. Steps 3 through 5 will take you beyond functional restoration and allow you to achieve so much more! Your therapist will be discussing these program options with you as you progress through your rehab (Level 1 & 2).